The fallout from the IRS/Tea Party Scandal will be felt for a long time. The damage done to the IRS as an institution once revered as probably the best tax collector in the world, is only part of this disaster. The real fallout will be felt for years to come, all over the world when American taxpayers at home and abroad ask themselves each time they fill out a tax return, "Why should I file an honest tax return when the tax collector itself cannot be trusted to cut square corners with its own 'customers',?" (the in vogue management-speak moniker for the way the IRS refers to the people over whom it exercises its police enforcement authority). The IRS mission statement says its job is to "provide America's taxpayers top quality service by helping them understand and meet their tax responsibilities and enforce the law with integrity and fairness to all." Really? It sure doesn’t look that way. One could easily argue that the reason for the extra careful look at applicants seeking the holy grail of tax exemption is simply because the tax man needs to be absolutely sure that an organization meets the strict standards set out in the regulations. In this case, applicants are required to prove to the IRS that its purpose and function are indeed to serve the community as a social welfare organization. The general rule of taxation assumes an organization in the business of collecting cash is doing so to promote a profit motive. As such, it is only fair that a portion of those profits be paid over to the sovereign so it can provide the people with services and protection we have come to expect in a civilized society. The theory behind tax exemption, the exception to the general rule, is that this special privilege is only to be allowed upon a detailed showing of its bona fides and assurances that money and self-enrichment are not the primary reason for its existence. Therefore, it follows that the government has a right to ask the applicant to explain exactly why and how it fits within the detailed regulations. This distinction between the general rule of taxation and the exception is totally lost on those people who are skeptical of the tax man’s motives in the first place and see this fiasco as just another example of his true motive when it comes to who is selected for audit, whether a proposed business deal should be granted a favorable private letter ruling, or whether the IRS is going to be easy or reasonable to deal with in an audit or Tax Court case. Why bother filing an honest tax return now when it is clear that the once-respected IRS is as stupid and lacking in good judgment as government can be at its very worst? This view is foisted not only on the front line field agent but all the way to the top of the organization including the Commissioner and his vaunted legal counsel. 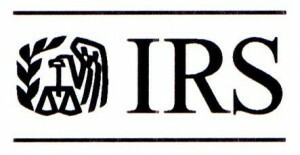 The IRS’s leadership failure has not only damaged the agency’s reputation but also the very cornerstone of our voluntary compliance system: allowing people to self-assess their tax liability works because in theory at least, in this age of enlightenment, a well-educated and informed citizenry can be counted on for its honesty to correctly report its income and deductions. In this land of limited government and Jeffersonian respect for the rights and privacy of the individual, this model works only when the government is perceived as worthy of its citizens’ trust. For those who have always thought the government in general, and the IRS in particular, are not to be trusted, the Tea Party Scandal has given them proof positive that the IRS and the U.S. government are the enemies of the people. The examples of governmental mismanagement here are too numerous to list in this blog but the most glaring perhaps is the failure to anticipate and deal with the public’s perception of the Tea Party’s ordeal as politically motivated. In my 30 years of IRS experience in both the National Office and the field, politics and religion were never talked about and were never part of the enforcement mentality. There was also an unspoken recognition of the fact that nothing is secret inside the IRS. Any conspiracy to do anything at all untoward or contrary to the sacred Internal Revenue Manual was not only wrong but nearly impossible to pull off because of the wide spread culture of "dropping a dime" on your co-workers if it deals with something that management might want to know about. The Cincinnati check lists and fact probes were not dreamed up by the local staff. They would have to have been approved, if not drafted, by IRS Counsel in Washington. The aging reports of the caseloads of the Cincinnati determination group were duly reported on up the line. If it is true that the Commissioner knew about this disaster a year ago, what took so long do the right thing? Finally, the "tea pot" scandal is a punch below the belt to all the tax practitioners who have been doing the IRS’s bidding by telling their clients to trust the IRS and not be fearful of honestly disclosing their tax matters. People today are going to find it easy to simply ask, "Why should I?" Those who see the scandal as justification for continued or future noncompliance are deluding themselves. The IRS is likely to circle the wagons, wait for this to blow over and get back to business as usual. Those with cases currently before the IRS should expect nothing at all in terms of the IRS using the scandal as a chance to curry favor with the public by cutting a better deal in an audit or collection matter than they would have absent this fiasco. That is not going to happen. Nor is the scandal likely to advance the cause of flat tax, no tax, or tax reform. Whatever system we have, there will always be an IRS to run it and enforce the laws. Unfortunately, this scandal is just another example of bad government. It is the result of leadership asleep at the switch, a failure to pay attention to facts which should have been clearly visible to everyone.